Pride of Alabama Cheer Camp combines traditional summer camp activities with the excitement of Cheerleading, Cheernastics, and Dance. Camp days are jam packed with 30 minutes of Flexibility, 1 hour of Cheernastics, 1 hour of Cheerleading/Dance, Arts & Crafts, Games, Open Play with Inflatables and more. All levels beginner to advanced are welcome to attend. 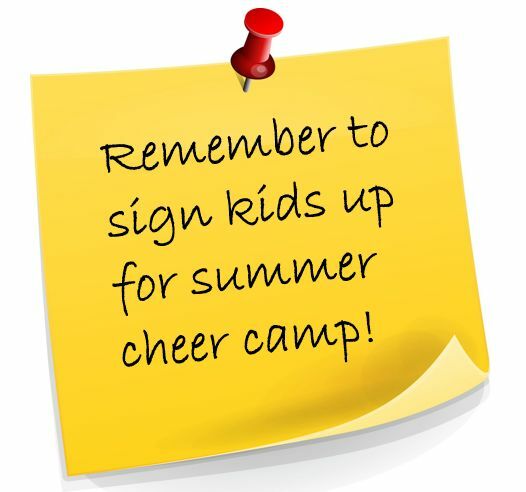 Campers will need to wear a t-shirt, shorts, socks, tennis shoes, and hair pulled up in a ponytail. Campers will also need to BRING a LUNCH, snacks, and drinks (or snacks and drinks can also be purchased from vending machine). $55 Non-Refundable Deposit due at registration. Remaining balance due Monday prior to Camp.